Self Assessment Full Enquiries The trigger point is the issue of the S9A, S12AC TMA 70 or Paragraph 24 (1) Schedule 18 Finance Act 1998 Notice by HMRC together with a request to examine all the business books and records or, in the case of a personal taxpayer, all the underlying documents used in the preparation of the Self Assessment return. Income Tax Self Assessment Aspect Enquiries The trigger point is the issue of the S9A or S12 AC TMA 70 Notice by HMRC where there is a request to examine just certain boxes on the Return. Corporation Tax Self Assessment Aspect Enquiries The trigger point is the issue of the Paragraph 24 (1) Schedule 18 Finance Act 1998 Notice by HMRC where there is a request to examine just certain boxes on the Return. HMRC Enquiries under IR35 The Service covers HMRC IR35 Status disputes. However, there must be a written Contract for Services in respect of the liabilities which are being disputed. The Contract must have been strictly followed and there must be a reasonable prospect of successfully contesting the Revenue’s allegations. Employer Compliance Disputes The Service covers PAYE, P11D and NIC disputes and the trigger point is the issue of a letter, assessment or notice by HMRC, following a Compliance visit, providing there is a prospect of reducing the alleged liabilities. HMRC VAT Disputes The trigger point is the issue of a written decision or assessment by HMRC, following a control visit, providing there is a prospect of reducing the alleged VAT liabilities. Schedule 36 Enquiries The trigger point is a written request from HMRC to inspect assets, documents, records or business premises in accordance with Schedule 36 Finance Act 2008 in respect of Income Tax, Corporation Tax, PAYE, NIC, VAT & CGT. The annual fee protects you as a tax payer each year and renews on 1st December. You may also be able to join part way through the year should you so wish. Claims arising where the annual Returns/accounts are submitted “late”; i.e. outside the statutory time limits. HMRC Specialist Investigations, Civil Investigations of Fraud, Criminal Investigations Sections and Code of Practice 8 and 9 cases. Fees incurred prior to the written acceptance of a claim. Enquiries into tax planning arrangements where HMRC have allocated a Tax Avoidance Scheme Number. We will be responsible and have the discretion for making claims under our policy and there is a maximum Limit of Indemnity of £75,000 in respect of our professional fees for any one claim. 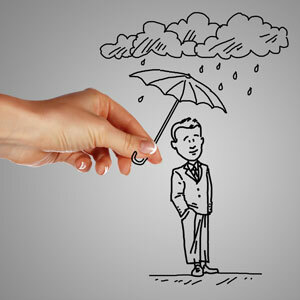 Clients will be responsible for any fees that we cannot recover from our Insurers. Once we receive your payment, we will send you a VAT invoice as confirmation that you are a Designated Client of our Scheme.